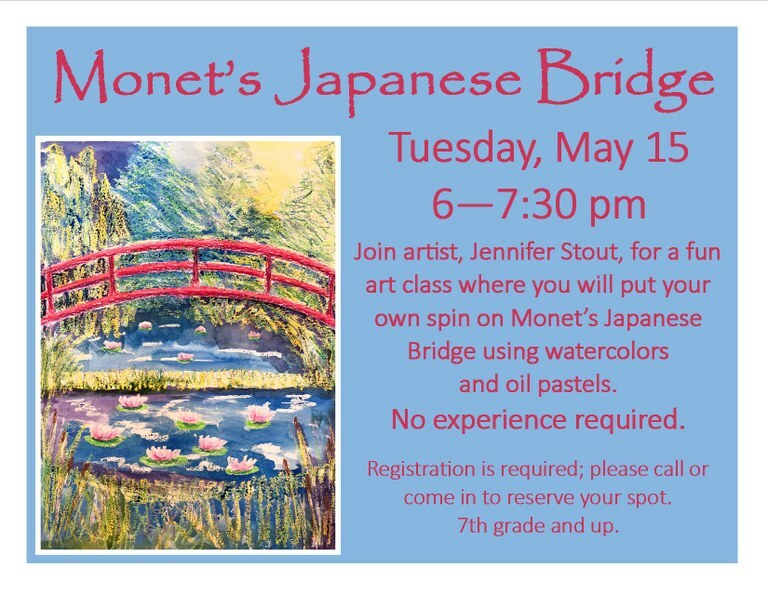 Join artist, Jennifer Stout, for a fun art class where you will put your own spin on Monet's Japanese Bridge using watercolors and oil pastels. No experience required. Registration is required; please call or come in to reserve your spot. 7th grade and up.